Disclosure: We were sent radiators to feature in this post however all opinions are my own. We always have a list of jobs that need doing around the house and one that we have been meaning to tick off for such a long time was replacing two old radiators in the bedrooms. When we came back from Florida it felt so cold, and like autumn had really set in, that we booked someone to fit new radiators for us immediately. 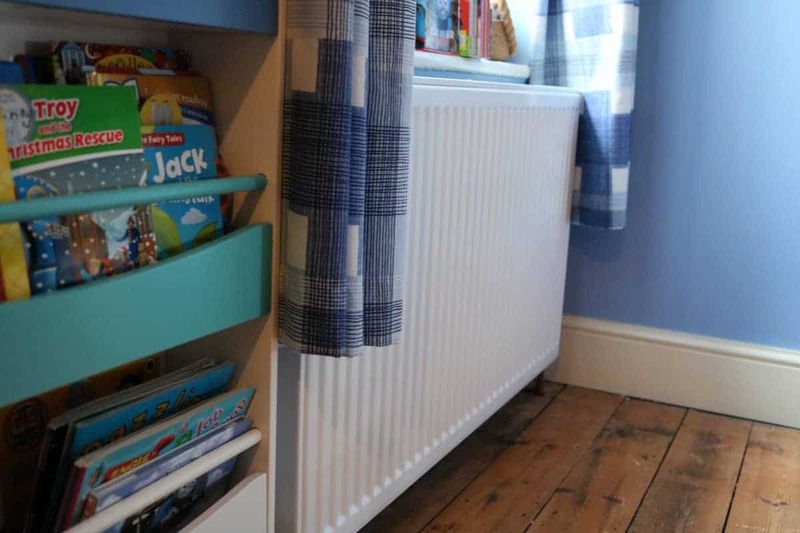 Radiators are one of those things you don’t really think about until they go wrong or, in our case, until you think about decorating. 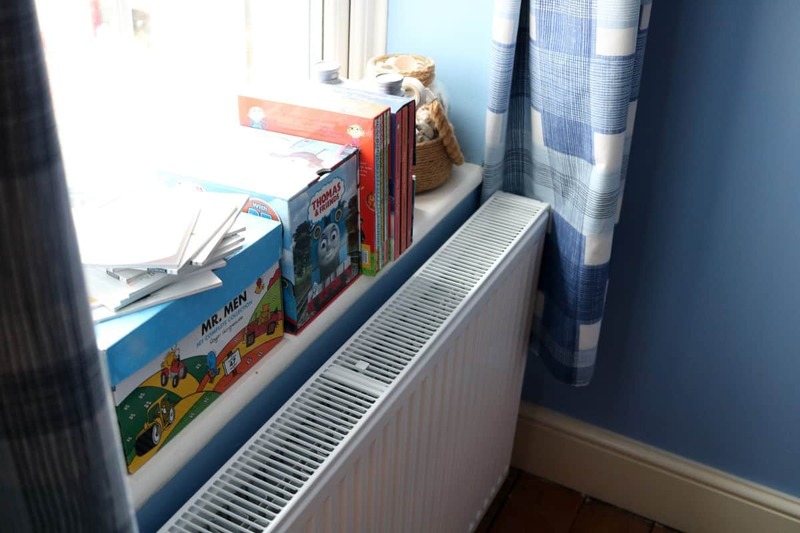 We’ve slowly replaced radiators throughout the house as we’ve decorated rooms with LP’s radiator being replaced a couple of years ago, the lounge before that and all the ones at the back of the house being taken out in favour of under floor heating when our extension was completed. So it just left Little Man’s room and our room to do. Both radiators were single panel and well over ten years old. We wanted something more economical as far as heat was concerned and something that would look better too. 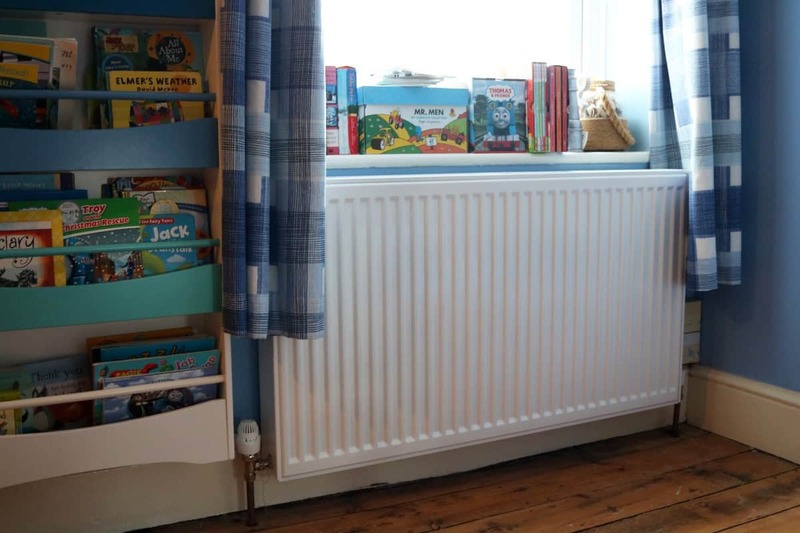 In the end we chose a pretty standard double panel radiator for Little Man’s room, going in the same place as his old one, under the window, and filling the whole available space. 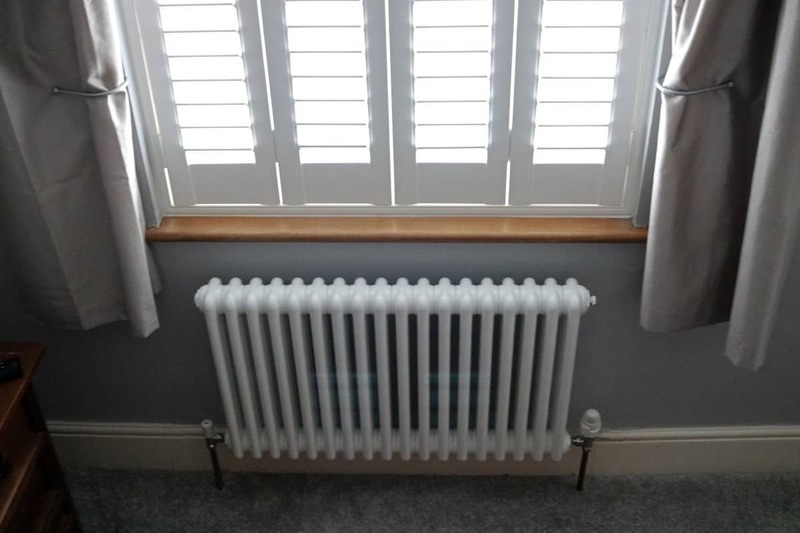 We had shutters fitted in our room a year or two ago and so we wanted something more traditional to be in keeping with the period features of the house so we chose a white cast iron, traditional radiator. 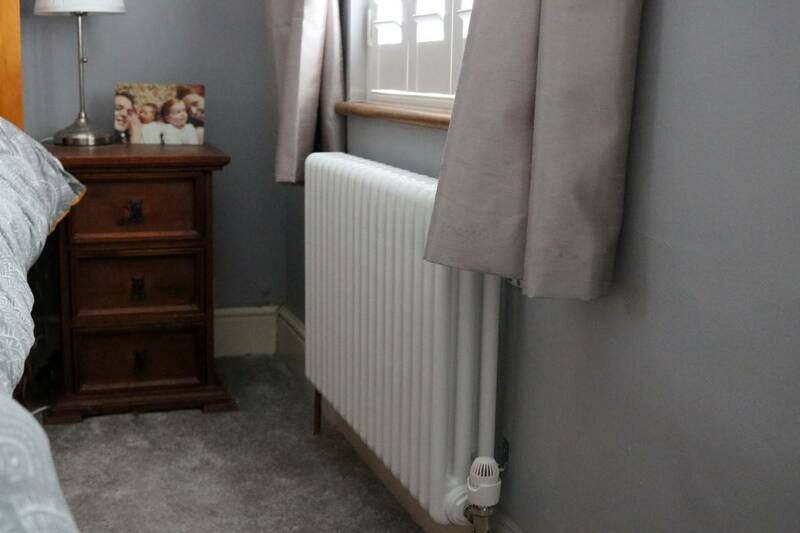 Previously the radiator had been off centre to the window but the plumbers fitted it central to the window and it fit the gap perfectly – and looks like it has always been there. The new radiators work well, were simple for the plumbers to fit and look great in the rooms. We are now moving on to decorating Little Man’s room and getting him carpet for the first time which I’ll write about once it’s finished. At least we know that our bedrooms will be toasty for the winter – I actually can’t wait to put the heating on.